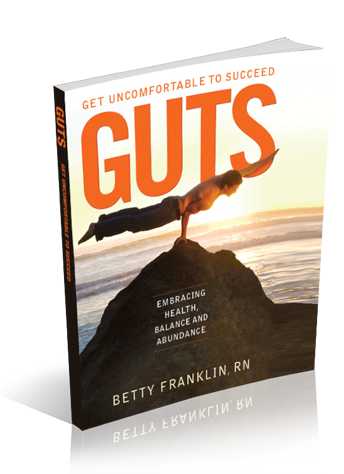 Download your excerpt from GUTS. It includes two self-awareness exercises. The integrated Life Assessment and the GUTS Balance Wheel. They are tools to help transform you and your life from good, to better, to best. I agree to receive Betty Franklin’s newsletter containing news, updates and promotions.You can unsubscribe at anytime.